Norman Geisler, another signer of The Chicago Statement on Biblical Inerrancy, gives us a definition of Deism to work with. “Deists hold a view of God very much like the Christian view, except they don’t think God performs miracles—ever. They agree that God made the world, but He just let it run on natural principles. He oversees human history, but He doesn’t intervene. They might compare God to a watchmaker who made the watch, wound it up, and then left it alone to run down.”4)Norman L. Geisler and Ron M. Brooks, When Skeptics Ask: A Handbook on Christian Evidences, Baker Books, (Grand Rapids, MI: 1996), p. 39 Likewise, many conservative views could be held about inspiration, but it is to be understood that God inspired the words of the original inscripturated autographs and left them in the hands of man without His providential care to keep the very words perfectly preserved. Textual criticism becomes the manmade apparatus to produce what God invested no interest in performing—i.e. the preservation of His own inspired words. As The Chicago Statement on Biblical Inerrancy “Since God has nowhere promised an inerrant transmission of Scripture, it is necessary to affirm that only the autographic text of the original documents was inspired and to maintain the need of textual criticism as a means of detecting any slips that may have crept into the text in the course of its transmission.”5)The Chicago Statement on Biblical Inerrancy, accessible at http://www.bible-researcher.com/chicago1.html This is essentially a deistic view of inspiration. Because Hebrew is more precise than modern English, especially in direct address, the interpreter cannot afford to trust an English translation when trying to determine the referent or antecedent of many pronouns…. Joshua 1:7 “Only be thou strong and very courageous, that thou mayest observe to do according to all the law [Fem. ], which Moses my servant commanded thee: turn not from it [Masc.] to the right hand or to the left, that thou mayest prosper whithersoever thou goest. 1 Kings 6:12 “Concerning this house which thou art in building, if thou wilt walk in my statutes [Fem. ], and execute my judgments [Fem. ], and keep all my commandments [Fem.] to walk in them [Masc.]. God chose faithful men to preserve His word being overseen by His providence. God has even supernaturally brought forth His words when men had tried to destroy it. The promises of God are referred to as “the immutability of his counsel” (Hebrews 6:17) because God cannot lie (Hebrew 6:18); “…there hath not failed one word of all his good promise, which he promised by the hand of Moses his servant.” (1 King 8:56) Since God has promised to preserve His word, it also stands that He has preserved it as inerrant. Consider for example how Paul told Timothy “that from a child thou hast known the holy scriptures” (2 Timothy 3:15). The original autographs had long since ceased to exist by this time, yet the Scripture that Timothy was personally familiar with Paul described as having been “given by inspiration of God” (2 Timothy 3:16). They remained God’s inspired words for centuries after the original autographs were gone. Now, if God’s very words are preserved then so is inerrancy. This is what draws a line between fundamentalists and evangelicals. Certainly, no evangelical is willing to vouch that they believe in preserved inerrancy. Theologian Charles C. Ryrie, another signer of The Chicago Statement of Biblical Inerrancy, writes, “We do not possess any of the original manuscripts of the Bible, and the doctrine of inerrancy like inspiration, is predicated only on the original manuscripts, not on any of the copies. The two premises in the statement above are correct…”8)Charles C. Ryrie, Basic Theology, Victor Books (Wheaton, IL: 1986), p. 80 Thus he stands to reason that we do not have the inerrant, inspired word of God today contrary to what the Bible itself says. This is deistic inspiration. God can give us His inspired words but is unwilling to intervene in preserving those words, leaving it in the hands of man to corrupt by multiplying error upon error over multitudes of generations throughout history. What about God’s promises to preserve His word? Are all the promises made by error since God is unwilling to intervene in preserving His word, or are these promises just products of man corrupting God’s word? As Dr. Jack Moorman asks, “if we ignore the special providential preservation of the Bible, how can we be sure that the extant Bible text is a trustworthy reproduction of the divinely inspired original text?”29)Dr. Jack Moorman, Forever Settled: A Survey of the Documents And History of the Bible, The Dean Burgon Society Press (Collingswood, N.J.: 1999), p. 56-57 Furthermore, it is necessary to recognize that God’s promise of His words preserved is also relevant to fulfill His command to carry His word to all nations, thus an accurate translation of the actually words (compared to the corruption of paraphrases and dynamic equivalences) is also inspired and inerrant. 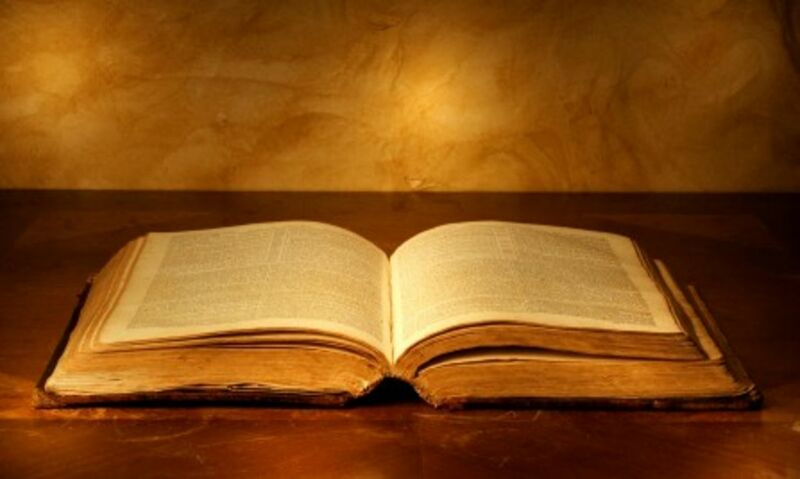 “but now is made manifest, and by the scriptures of the prophets, according to the commandment of the everlasting God, made known to all nations for the obedience of faith” (Romans 16:26). At least one such gap is specifically suggested by the genealogy in Luke 3, which inserts the name Cainan between Arphaxad and Salah. This name is actually found in the Septuagint translation of Genesis 11, with an additional increment of 130 years…. Just as Dr. Morris acknowledged that the name appears in the Septuagint (LXX), in a later writing of Sarfati he indicates, “The LXX was in widespread use by Jews outside Israel in New Testament [NT] times. This explains why it was commonly (but far from exclusively) cited in the NT–if not, then people like the noble Bereans of Acts 17:11 might have checked the Apostles’ teachings by the OT and said, ‘That’s not how we find it in our Bible.’ Interestingly, by inspiring the NT authors to use the LXX translation in the NT, God apparently inspired parts of the Greek translation that differ slightly from the Hebrew original.”34)Jonathan Sarfati, The Genesis Account: A Theological, Historical, and Scientific Commentary on Genesis 1-11, Creation Book Publishers (Powder Springs, Georgia: 2015), p. 8 So Sarfati is willing to believe parts of the Septuagint were inspired of God even if they differ from the Hebrew original but not if it effects the date of creation as calculated from the genealogies. He instead claims the Scripture has been corrupted and has errors as based on the desire to preserve the Genesis genealogy and rescue a whole 130 years from the gap as if that would cause an unbiblical interpretation of long ages. Bodie Hodge follows Sarfati, claiming, “This appears to have been one of a few copyist mistakes that have crept into the manuscripts after Luke wrote the original, inspired manuscript. Others have pointed out how this error could have occurred rather easily. There is no legitimate reason to introduce gaps into the genealogies—other than the desire to extend the dates based on extra-biblical ideas.”35)Bodie Hodge, The Tower of Babel: The Cultural History of Our Ancestors, Master Books (Green Forest, AR: 2013), p. 203 So they would rather introduce errors in the Bible than to allow a brief gap in the genealogy that would not increase the ages to millions of years anyways. They allow 6,000-10,000 years as an age of creation and this gap would not expand beyond 10,000 years, so how is it he presents a strawman argument that the only reason to think that accepting this additional name in Luke is for the purpose of extend the dates beyond their own allowable Biblical age? Or how is it based on extra-biblical ideas when it is right there in the Bible? Actually, it is the thought that the Bible could have been corrupted that is an extra-biblical idea. But if the Bible has been corrupted then God is not capable of keeping His promises, nor is the Bible reliably preserved in which case it cannot be defended beyond speculative arguments. Do they not believe the God who spoke all things into existence can preserve His word? They are not standing on presuppositional apologetics as they would have us to believe. There is no reason to doubt the word of God, for it is God’s word perfectly preserved from the day the original autographs were inscripturated onto this day; for it remains the inspired and unerring word of God.